Tibet is known as the “Roof of the World”, the “Third Pole”, or the “Land of Snows”. It is one of the most renowned places in the world. Few people have not heard of this land in Asia, the home of Buddhist Monasteries, the vast Himalayan Mountains, hairy yaks, and the beautiful landscape. Believed to be the inspiration for the novel, Lost Horizons, and the location of the legendary Shangri-La, the forgotten paradise. Tibet is more than most people ever realize and to know the true Tibet as the locals do. The only way is to travel to Tibet and find out for yourself. 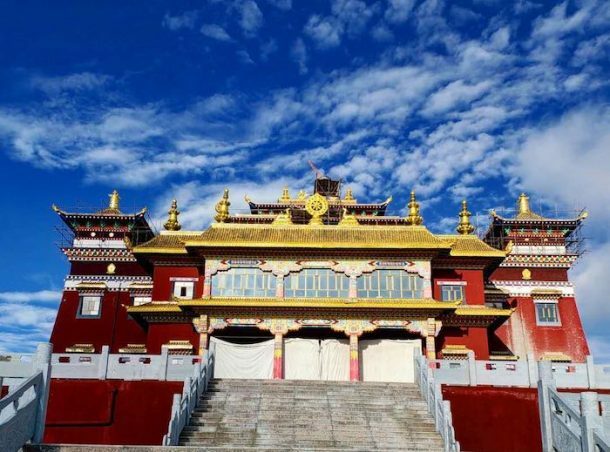 Lhasa is renowned for the stunning monasteries of Drepung, Sera, and Ganden, all of which make up some of the main monasteries of the Gelug School of Tibetan Buddhism. The best time to visit Lhasa is in all the season. Outside Lhasa, however, there are many more monasteries that you could possibly count. Buddhism has been the main religion in Tibet for more than 1,300 years, and over that time. The hundreds of Buddhist monasteries have been built all across the region. Originally, there were more than 6,000 monasteries spread across Tibet, stretching from the Yarlung Zangbo Valley to the heights of Mount Kailash and beyond into the wilderness that was once the Shangshung Kingdom. While many of these have been destroyed in wars and revolutions. There are still around 1,138 monasteries in the region, more than in any other place in the world. Trekking across the roof of the world is an adventure that many dream about, and yet few have ever completed. Trekking in Tibet is not easy. The high altitudes and even higher mountain passes make trekking across the Third Pole one of the hardest adventures in the world. Rugged terrain, intense weather conditions, and the high altitudes are major challenges. Though many of the trekking trails have brought hardy hikers to the four corners of this high plateau. 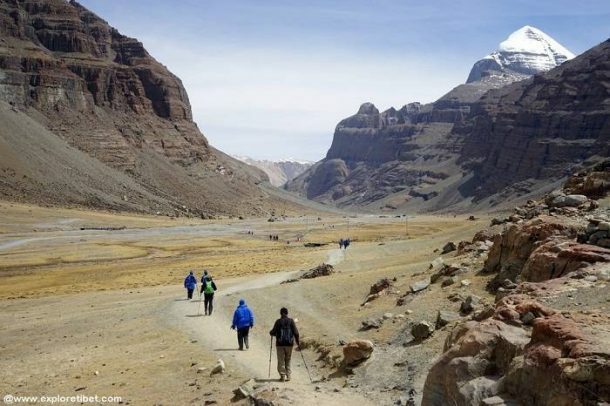 Tibet has some of the best treks in Asia, from the beauty of the Ganden to Samye route, which takes you on an adventure between two of the plateau’s most important monasteries, to the awe-inspiring four-day trek to Mount Everest Base Camp from the ancient town of Old Tingri. While this one mountain is part of the massive range known as the Himalayas. Tibet is probably most well known for having the highest mountain in the world, even if it does share that honor with its close neighbor, Nepal. Mount Everest, which lies on the border between China and Nepal, in the Shigatse Prefecture of Tibet, stands 8,848 meters above sea level, making it the highest point on the planet. 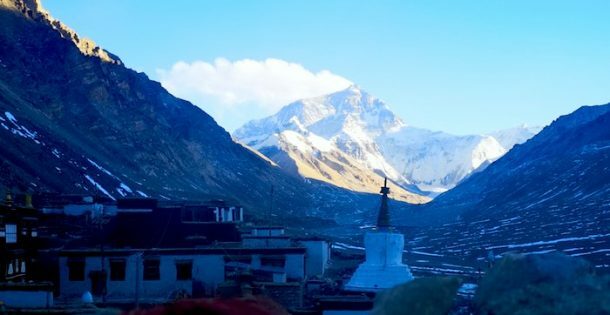 Still a sacred mountain for Tibetans, this huge and immense peak has been the pinnacle of mountaineering for almost 100 years. It is known in Tibetan as Chomolungma. The world’s highest mountain is one of the main tourist attractions in Tibet. And reasons enough to come and visit and explore the other amazing sights, sounds, and scenes of the awesome Tibetan plateau. It is the dream destination of mountaineers all around the world. It also took so many lives of mountaineers. Most travelers include the Mount Everest Base camp in their Tibet travel itineraries. 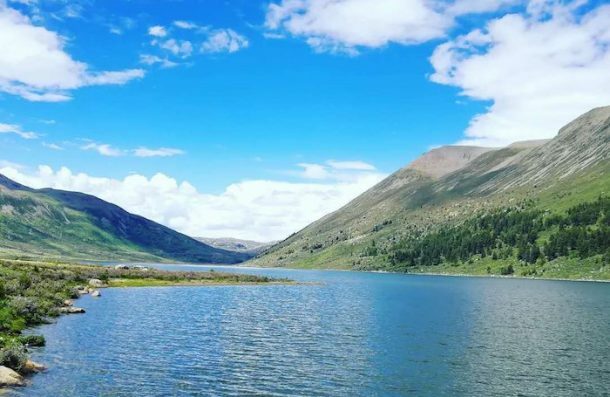 From the rolling Changtang Grasslands in the north of the region to the remote and arid deserts of the northwest to the stunning views of the mighty snow-capped Himalayas. And the huge lakes and valleys that cover the plateau. There can be no doubt that Tibet is one of the most blessed lands on the planet. Few places have such a vast variety of landscapes within one place. The sight of the colorful scenery is one of jaw-dropping beauty. Take in the awesome views of Mount Everest’s fatal North Face, which has claimed more lives than any other mountain. To visit the herds of wild antelope and wild donkeys grazing on the edges of the many saltwater lakes in northern Ngari Prefecture. By taking a trip downhill to the beautiful pine forests of Kham in eastern Tibet, reminiscent of a Swiss Alpine postcard scene. To the further southwest into the heartland of Tibetan culture, in Lhokha Prefecture. The area of the first Tibetan Empire in the cradle of Tibetan civilization. 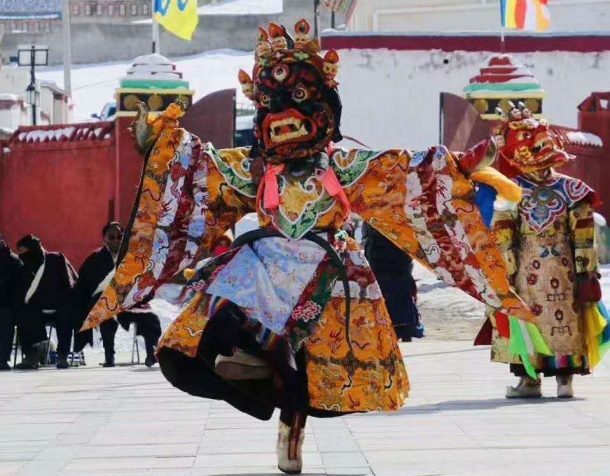 Tibetan culture is a heady mix of devout Tibetan Buddhism and the ancient traditions that date back to a time when Buddha was still a mere Shakya Prince in his protected palace. The ancient culture of Tibet is one of the nomadic tribes that roamed across the plateau. Following the best grazing for their herds of yaks and the seasons of the high-altitude land. After the advent of Buddhism in Tibet, and its second infusion in the 8th century, Tibetans incorporated the Buddhist traditions into their ancient shamanistic ways, combining the two to make the modern Tibetan Buddhism as it is known today. And even more, the people took Buddhism into their daily lives in such a devout way that it is now almost impossible to know where religion ends and culture begins. 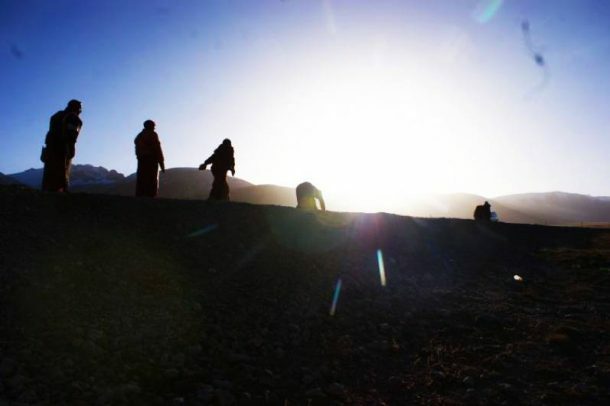 Buddhism is part of the natural way of life in Tibet, and even the daily tasks of waking and prayer are a major part of the everyday routines of Tibetans. This unique mix of ancient and less ancient has blended together seamlessly into the modern Tibetan culture, and the best place to explore the unique culture of Tibet is out in the rural areas, where little has changed in the way people live their lives in the last thousand years. Every year thousands of international tourists visit Tibet to learn and experience the unique Tibetan culture. They cherish the Tibetan tradition and the way of life of Tibetan. How to get to Tibet is the most common question people asked and answers are right in here. Pilgrimage is a major part of Tibetan Buddhism, and the pilgrim routes in Tibet, known as a “kora”, are the keys to the pilgrim soul. For Tibetan Buddhists, the pilgrimage is the ultimate way to show devotion to the gods, to meld mind and body into the ultimate fusion of balance, and is a major element in the journey towards enlightenment. A pilgrimage does not necessarily have to be a long journey. In Tibetan Buddhism, even the short kora around the inner sanctum of a monastery is a pilgrimage that can help gain merit. Tibet has thousands of sites for pilgrimage, from the most sacred sites in Tibet, at the sacred Mount Kailash in Ngari Prefecture, or the sacred Jokhang temple in Lhasa, to the kora routes around the monasteries of Ganden, Sera, and Drepung and the immense month-long pilgrimage around Lake Namtso in Northern Lhasa. And each kora has its own advantages when attaining merits, and different times in which to perform the ritual kora to attain more merit. The lakes and mountains of Tibet are sacred to all Tibetan Buddhists, and it is not just a few of them, but every single lake or mountain. And as if it was not enough to be sacred, these lakes and mountains offer visitors the utmost beauty, with high mountains topped by snow-clad peaks that stretch up to heaven and stunning lakes with waters of deep turquoise, their surfaces shimmering in the plateau’s almost perpetual sunshine. 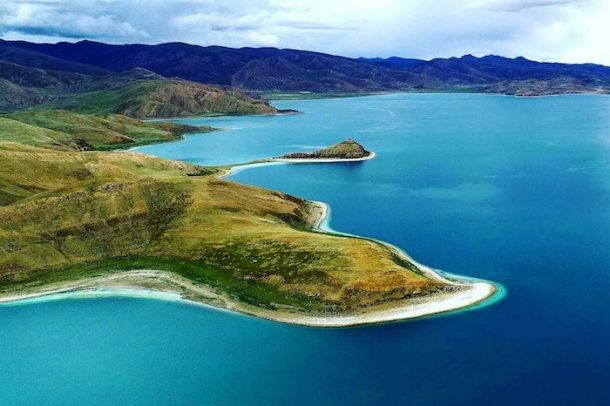 The top lakes in Tibet are known as the great Three Holy Lakes of Tibet and are made up of the three most stupendous bodies of water on the planet. Namtso to the north of Lhasa, is a stunning scene, surrounded by the beauty of the Nyenchen Tanglha Mountains on one side and the Changtang Grasslands on the other, while to the southwest of Lhasa lays the talisman lake known as Yamdrok Lake, the life-spirit of Tibet and without which legend says Tibet will dry up and become uninhabitable. Previous postIs Tibet a safe place to Travel?﻿ Next postRectified News For "China closes its Everest Base Camp for Tourists". - Explore Tibet.